John Bailer and his students developed a web app for the Butler County Coroner's office to track trends in drug overdoses. 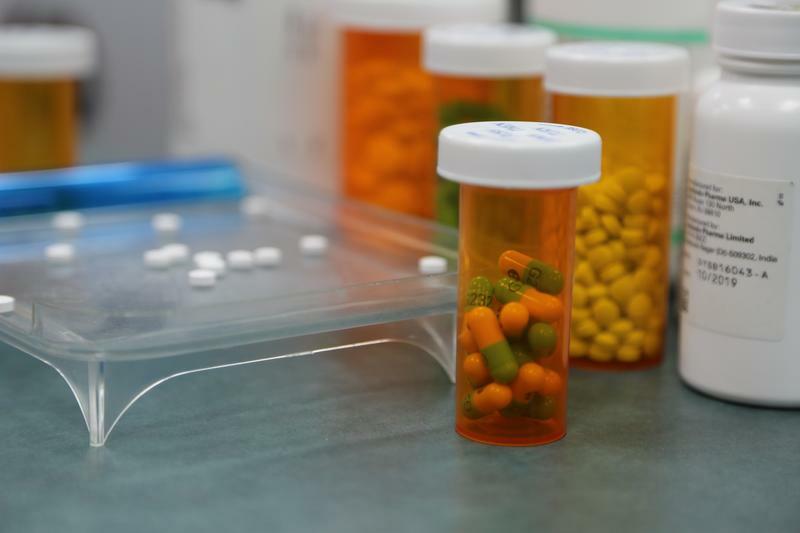 A new website enables Butler County residents to track overdose trends from 2013 to 2017. 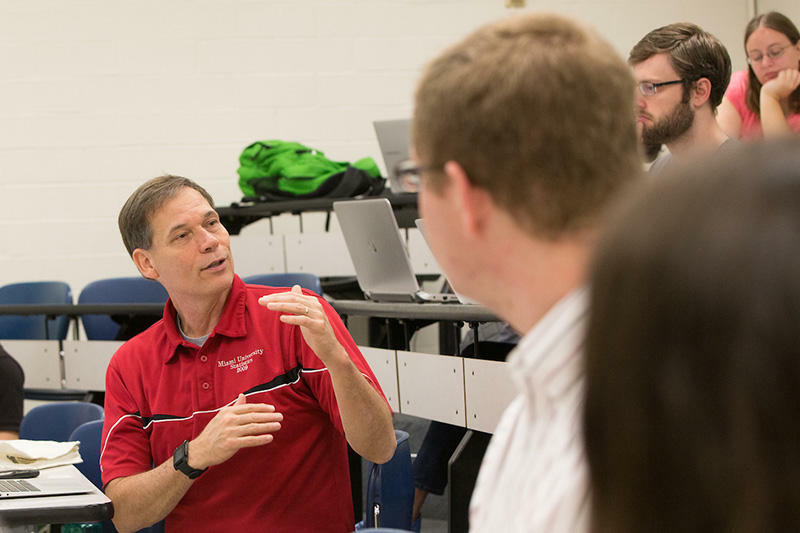 Statistics students at Miami University gathered data from the county coroner and created a web app that people can use to view types of drugs, locations and demographics. John Bailer, chair of Miami's department of statistics, says the site lets users find customized data analysis. 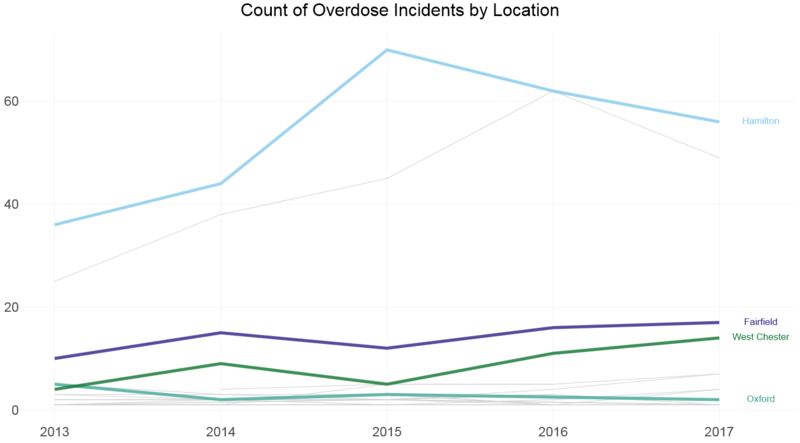 "Examples of this might be: what are the drugs that were found in the overdose victims; what are some of the demographic charatheristics of the overdose victims; what are some of the addressses, the locations in which these overdose incidents occurred or the deaths occurred; what are some of the trends we might see in the overdose deaths in different cities and townships." 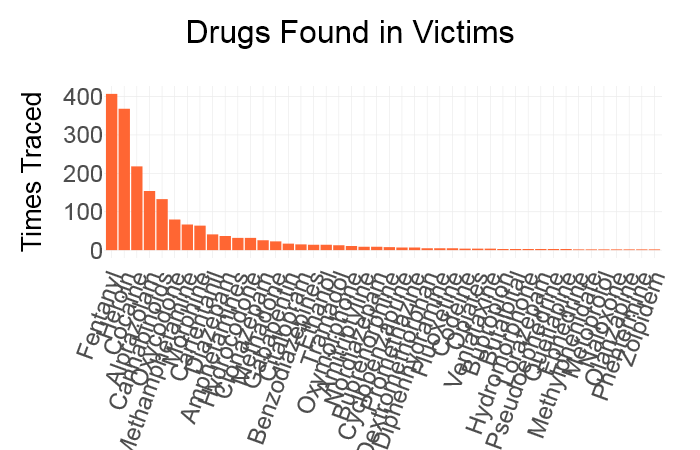 This graph showing drugs found in overdose victims can be configured to represent various demographics like gender, race and age. He says the information could be valuable to health professionals, journalists, researchers and the general public. "If you wanted to look at things like where are the deaths occurring in Butler County and do you see a greater concentration over time, you can look at different time points and then see within the county where these events are occuring." 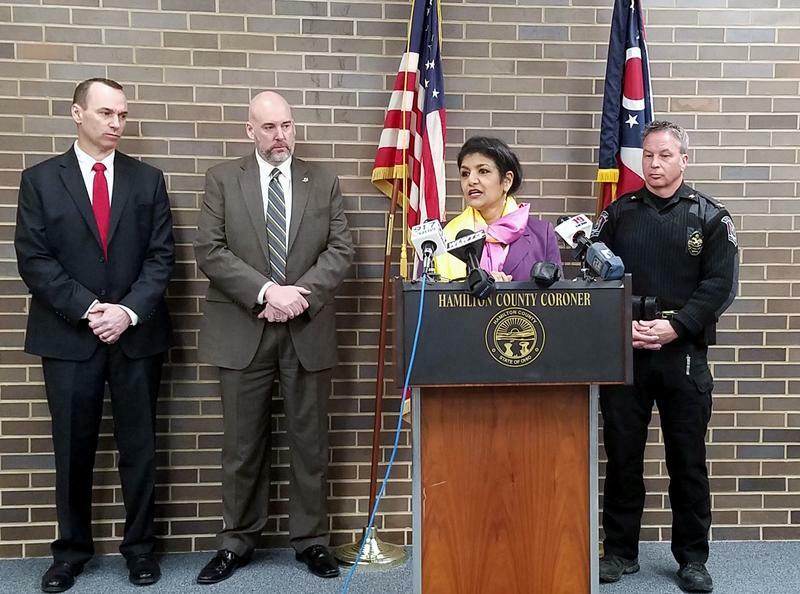 Butler County Coroner Lisa Mannix says in a statement that the website will help law enforcement agencies and first responders access important information that can bolster prevention efforts. "The more information made readily available, the easier it will be for our partners in the community to target those regions that need the assistance the most," she says. Bailer sees the site as a companion to real-time data sources because it provides information on trends. "Is my community, is where I live (where) people are experiencing these types of adverse outcomes, these overdose deaths?" Prof. John Bailer says Butler County residents can use the app to track overdose information in their communities. Senior Bri Clements put the finishing touches on the project, doing a lot of the coding and other work during an independent study. 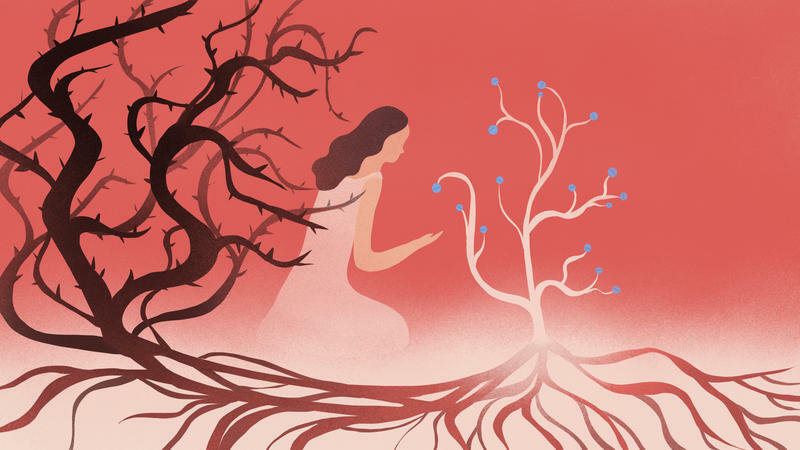 "I learned a great deal from this project," she says. "It was a great pleasure to work on a nationwide issue that has especially impacted my local community." Bailer anticipates future students will continue to update the data. The numbers are in, and they aren't good.